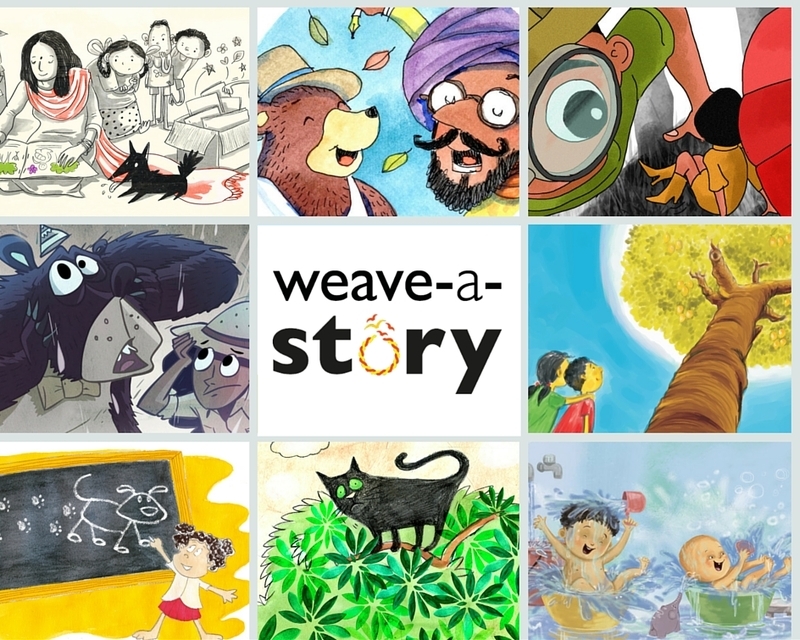 Yamini Vijayan, Content Manager, StoryWeaver writes about the recently concluded Weave-a-Story campaign and how the collaborative spirit of a community helped 8 stories find their way to 113 translations of which 89 were in Indian languages. For over a year before StoryWeaver was launched, our team was working on making existing Pratham Books' stories available on the platform. Pratham Books does have a fantastic collection of multilingual stories for early readers, and we were eager to make these easily accessible - digitally, and in a way that is super easy for our community to use, reuse and recycle. But all this was content that was already published (in print). Shouldn't a brand new platform like StoryWeaver also have brand new stories, we wondered. And it was this, in a sense, that led us to the 'Weave-a-Story' campaign – a campaign rooted in ideas of inventiveness, diversity (in language) and collaboration. The campaign inspired 8 enchanting children's stories. For four of these ('It's All the Cat's Fault', 'Ammu's Puppy', 'दीदी का रंग बिरंगा खज़ाना' and 'चुन्नु-मुन्नु का नहाना') we requested illustrators to create fresh artwork. Three of the stories ( 'The Day it Rained Fish' , 'The Story of Stories' and 'துப்பறியும் துரை') were woven around sets of illustrations created for #6FrameStoryChallenge, a campaign aimed at building a rich image bank for StoryWeaver. 'Mangoes for Moidooty' was created by a community user, who had used existing Pratham Books illustrations to string together a rather charming story. In fact, one of the things that got us really excited was that 'It's All the Cat's Fault' – the story that we launched with – was written by Anushka Ravishankar, a co-founder of Duckbill, one of the leading children's publishing houses in India. To us, her openness to contribute was a sign – of a sparkling future for an open-source story platform like ours (read more about the journey of Anushka's story here). After the creation of these 8 stories, we reached out to the growing community of users and friends of Pratham Books to support the campaign by translating these stories into AS MANY LANGUAGES AS POSSIBLE. And once again, our community jumped right in and gave us enough reason to be eternally optimistic. We're delighted to say that as part of the campaign, we added languages such as Mundari, Sadri, Konkani, Khmer, Portuguese, etc. Today, you can find stories in over 30 languages on StoryWeaver and while we're thrilled to bits, we continue to be eager to add more in the hope that children across the world will be able to read good stories in languages of their choice. We closed the 'Weave-a-Story' campaign on February 21st which was International Mother Language Day and what we'd like to share with you more than just numbers and figures is this: our growing realization that collaboration is truly at the heart of the work we do and without this, it wouldn’t be possible for us to do what we set out to do (“a book in every child’s hand”). Besides, the journey has been far more memorable and colourful with folk like you for company. So while this campaign is ending, we're really seeing it as a beginning, for StoryWeaver's collaborative efforts. So you – yes, you! - it's you who can help us transport these stories to children, so do stay with us and together, let's build a world of young, multilingual readers.